A major new report by commercial property consultancy CBRE asserts Scotland’s strengths as a leading technology sector destination, with the country’s two principal cities ranked second and third in the UK outside London. Published today, CBRE’S ‘Tech Cities’ report ranks the top UK locations for tech businesses. 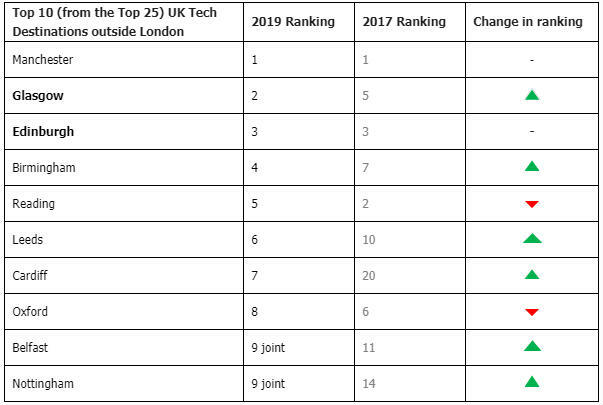 Following an inaugural CBRE study in 2017, and using the same methodology to analyse data on 65 cities throughout the UK, the new report provides an update on the top 25 locations for companies in the tech sector. 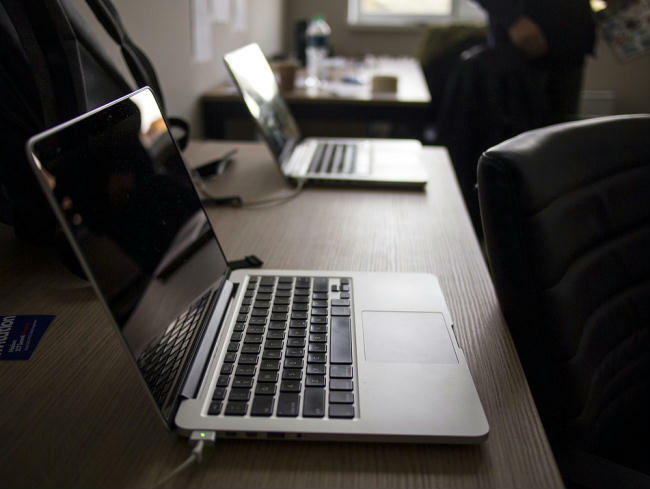 All markets were scored and ranked according to a wide range of locational pull factors for tech businesses, such as level of education, concentrations of tech businesses and employment, cost of living, cost of office space and wage levels. Commenting on Glasgow being named the UK’s second top tech city outside London, Andy Cunningham, Senior Director, CBRE, said: “It’s a real coup for the city but - as it’s home to some of the world’s most creative and talented engineers, architects and designers, and is now attracting a new generation of innovative tech start-ups with a strong focus on data science – it’s no real surprise. Referring to Edinburgh’s success in attracting tech businesses and investment, Stewart Taylor, Head of CBRE Advisory & Transaction Services, said: “The diversification of Edinburgh’s occupier market away from its traditional pre-Crash financial core is a success story of its own. However, the city must not take its eye off the ball. While Edinburgh ticks many of the boxes that attract tech businesses, such as the availability of an educated labour force, the proximity advantages of a big city – the sharing of information and innovation, access for employees to leisure activities, their peer group and career opportunities and a lower cost base than the south-east of the country, Edinburgh’s attractiveness should not be taken for granted.